Increased efficiency and improved profitability often results from consolidation of business units. Merging physical space, integration of business functions such as telephone, reception, billing, revenue cycle management, and IT offer great control and reduced costs. However, there are philosophical hurdles that have to be identified, addressed and overcome for a merger to be successful. MMA’s merger and consolidation services are a comprehensive process of merger feasibility assessment, development, and implementation designed to consolidate operations and practice philosophies to insure a high success rate. Our approach to the merger/consolidation is multi-phased. Our experience has found that the process allows the participants to become increasingly comfortable with the concept of the new entity. Prepare pre-merger Letter of Intent and Confidentiality Agreement among the parties. 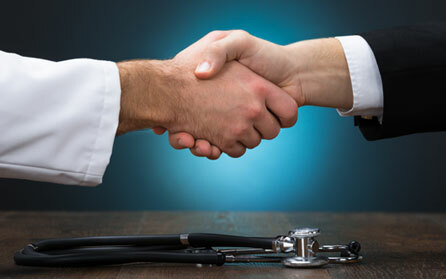 Meet with each physician individually to discuss issues and concerns about the merger, views on each organization’s strengths, weaknesses, opportunities and threats and impressions on each physician’s desired financial and functional outcome. Compile the responses for presentation to the group concentrating on key merger issues. Provide an initial review of financial data to develop high level valuations and projected compensation within the merged practice. Identify opportunities for revenue generation and expense reduction in the merged practice. Develop alternative merger models for review. Meet to discuss our findings and assist the group in making a go/no go decision on Phase II of the merger. Consolidation of valuations and determination of reconciliation amounts between the parties. Revise the Term Sheet and work with legal counsel to finalize the merger documents. Evaluate the need for financing, prepare the loan package and work with management on presentation to financial institutions. Coordinate/organize the physical, financial and operational consolidation of the entities.